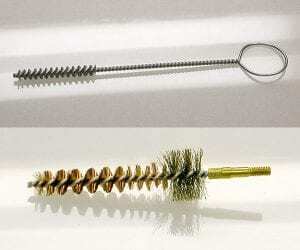 For over 45-years, Brushes Corp. has specialized in the development and manufacturing of twisted-in wire brushes for all applications; industrial, medical, automotive, plumbing, bottling, textile and Government. We supply both standard and custom engineered brushes and can accommodate any size order. Our experience, technical support and extensive selection of bristle and stem materials enables us to design unique brushes for every application. We offer packaging, private labeling and bar-coding services. If you are looking for ways to lower your costs or reduce inventory, call us! We offer the industry’s most competitive pricing and lead-times!